I love everything about this vintage bridal luncheon. 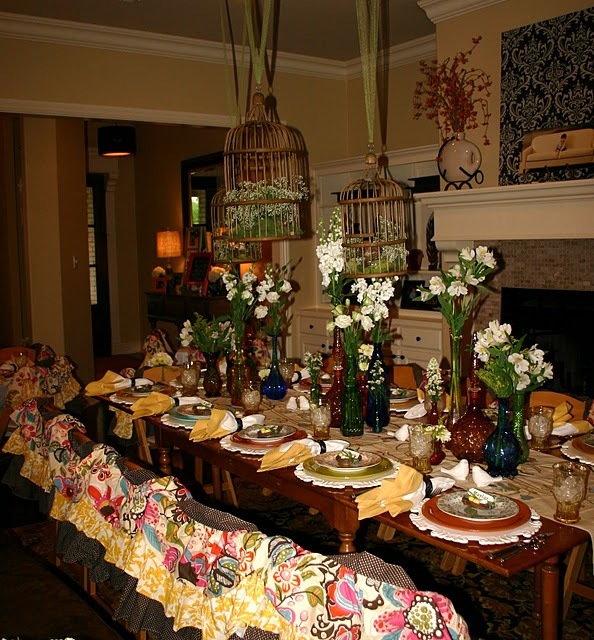 I think I'm most head over heels for the aprons used as chair covers...genius! 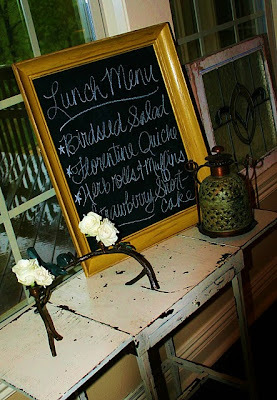 Katie hosted this lovely luncheon for her dear friend and all of the bridesmaids on the wedding day. 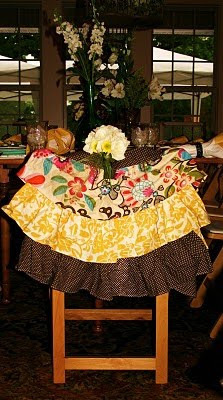 Here is another picture of the apron chair back covers, which the girls took home as favors! The door decor is precious! 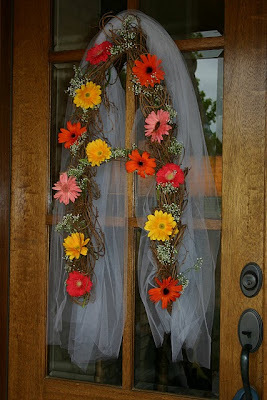 I love the use of the veil and twigs. Oh how I love chalkboard menus. The menu itself sounds scrumptious! 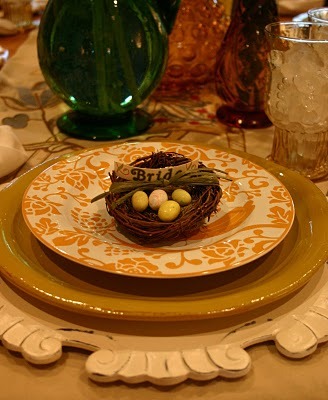 A very pretty place setting. Everyone loves a candy station. The trick is to come up with an original name for the area. Katie named her station "Ashley's Candy Stash" since the bride has a sweet tooth and seems to always have a stash of candy around her house. 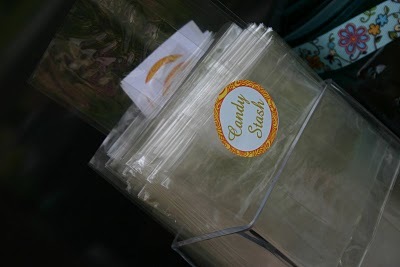 Bags for all of the girls to fill to take with them to the wedding so that they could have their own stash...cute! 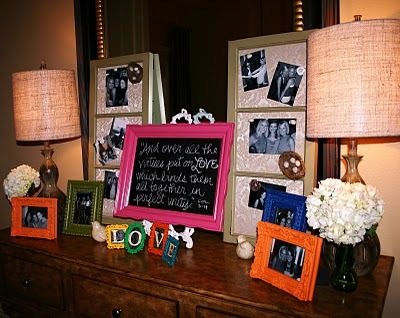 Katie created a special memory table with pictures of the bride and all of her friends. All of the girls got ready together at the house. 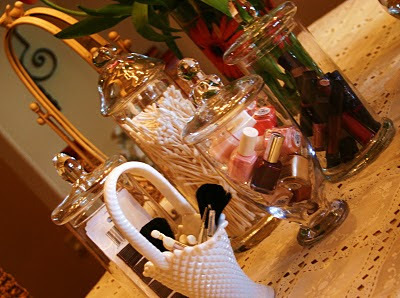 So, Katie set up a "Beauty Bar" in her dining room. 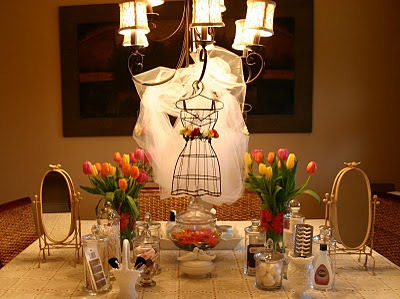 She filled apothecary jars with wedding day essentials such as bobby pins, q-tips, nail polish, etc. The cute girls wearing their aprons! 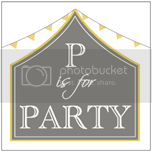 Be sure to visit Katie's blog to see MANY more pictures and party details! And be on the lookout! 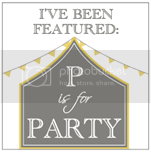 Katie is about to launch a new party planning blog as well as a boutique event planning company called Katie Grace Designs. Also, you definitely want to check out the INCREDIBLE Woodland's first birthday party she planned for her son! * The aprons and cream chargers came from Pier One. 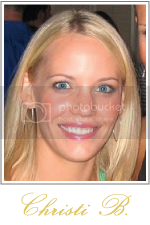 *The birdcages were found at "Oops" in Fayettville. 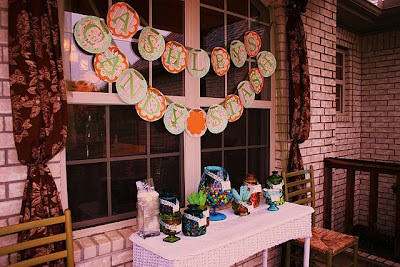 * Katie used her Cricut to make the Candy Stash banner as well as a few other things. * The frames on the memory table were purchased from Riff Raff and Michael's. That is one fantastic brunch - what an incredible host...what a lucky bride! So cute!! I love the aprons! what a great favor that is for a girls party! The apron thing, cutest idea ever! Great event. Lovee the apron idea too! What a wonderful brunch and the aprons are great!